Hunger banquet: the film | What's for lunch? The Grade 5s and 6s who participated in the Hunger Banquet at our school (see May 10th post) have continued to look at food issues in their French and Social Studies classes as a followup to the event. In addition, a parent of one of the kids is a videographer for CBC TV and he followed the children (one or two from each income group) through the experience and made a 7 minute short. Two weeks ago, the film was shown to the entire school. It was quite incredible to see all the kids (kindergarten to Grade 6) sitting on the floor watching how the Hunger Banquet played out. There were some great, poignant moments, and it triggered a really interesting discussion with lots of participation from the rest of the school. Two Grade 6s were asked to speak first and they talked about how shocked they were by the experience, seeing so graphically how many people in the world experience hunger every day. They told their schoolmates about why hunger and poverty exist—putting many adults to shame with their insight and analysis! Most importantly, to my mind, they said it made them want to do something about it (!!) and they asked the kids gathered in the gym if they had any ideas about what kids can do about hunger and poverty. One child put up his hand and told the school that his family contributes to relief agencies helping kids around the world. 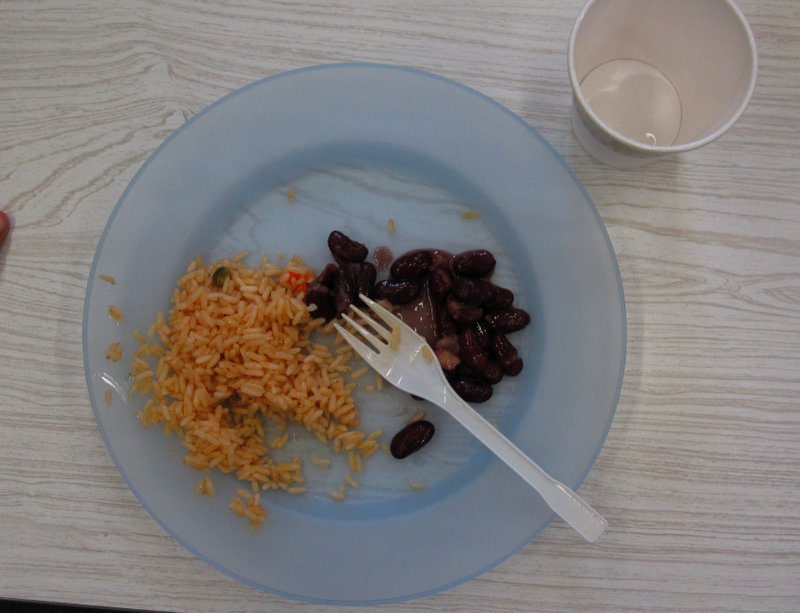 Another stood up and told the school about FreeRice, a non-profit website benefitting the World Food Program where you answer questions on everything from chemistry to geography, and with each question answered correctly 10 grains of rice are donated to WFP. Another boy told the school—with a complete lack of self-consciousness—that his family used to go to the local food bank and now they donate to it whenever they can. I think it was testimony to how safe he felt and what a good job his teachers have done talking about these issues that he could tell this very revealing story in front of his whole community without shame or discomfort. Another child told the assembly that what we need to do is change the economic system so it’s sustainable and equitable for everyone! I was blown away by how engaged all of the kids were—both those who’d participated and those who only watched the film. Some of the younger kids asked if they could do it next year. Their insights and candour left me with a giant lump in my throat and a whole lot of hope that these kids will go on to make real change in our world. Tagged as Canada, hunger banquet, school feeding, School lunch, school lunch in Canada, The Stop, Toronto, What's for Lunch?